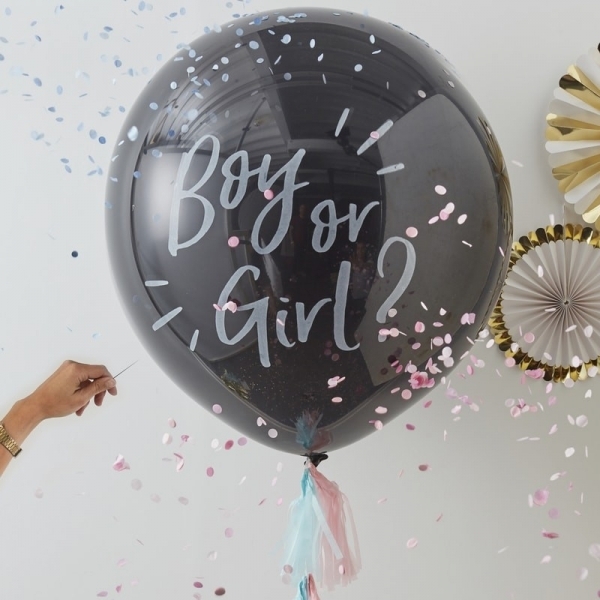 Our new giant gender reveal balloon allows excitement to build on whether your expecting bundle of joy is a boy or girl. A trendy reveal for a stylish couple. As you burst the black balloon, either pink or blue paper confetti will cascade to the ground in a spectacular 'pop'. The most stunning way to reveal the gender of your baby, remember to take lots of photos so the moment will last forever! 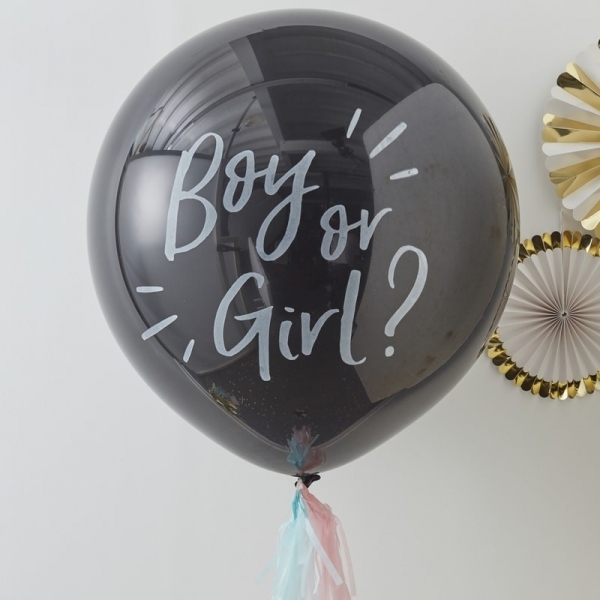 Our gender reveal balloon comes with pink & blue confetti, choose (or have someone else choose) the right colour & pop it inside the balloon, add both the pink & blue tassels around the string so the reveal remains a surprise until the pop. Includes 1 x 35" diamater black balloon, 4 tassels (2 x pink, 2 x blue) measuring 20cm long. Blue & pink paper confetti to choose from as well as 1m length of clear string.